Ready to make the dive into Bikini Bottom? First, you better have your best pals, Patrick Star and Sandy Cheeks with you. Also, bring a boat-load of krabby patties because you have to prepare yourself for living in a pineapple under the sea. First, you have to make sure you are ready for such a commitment. After all, your new neighbor will be Squidward, an ornery squid who pays the clarinet poorly, plus you'll have to keep an eye peeled for that microscopic little pest, Plankton. If you are getting cold feet about moving all the way down to Bikini Bottom, I don't blame you! 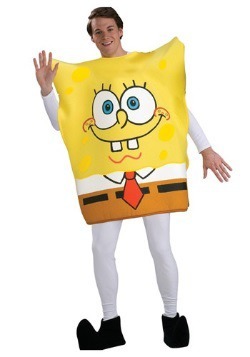 You can always just opt for becoming Spongebob Squarepants for Halloween instead! 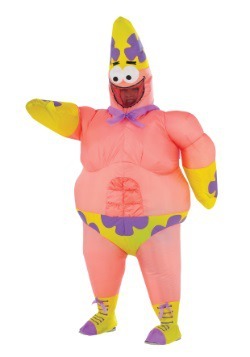 Here at HalloweenCostumes.com, we have a size and style for just about everyone in the family. 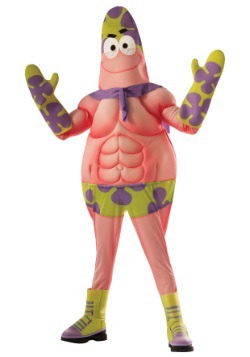 There's even an exclusive Adult Starfish costume for you so you and your bust bud can go as the goofy pair of friends, Spongebob and Patrick. 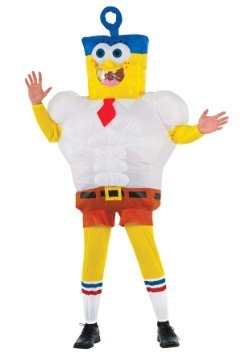 This Halloween, show your love of this modern cartoon classic with our wonderful Spongebob costumes! Ay ay, captain!